** The Halifax-based band, DICEY RILEY, has jus finished recording its most recent CD. ** The Halifax-based band, PAPILIO, have begun recording their debut CD at Studio C, with Glenn Coolen. ** The Tattoo has received a number of queries from individuals about playing pipes or drums in the Tattoo.If you are interested you can find information about the Pipes & Drums posted on the Tattoo's Website: www.nstattoo.ca You have to click on the area titled "Call for Pipers and Drummers" to see the details and instructions. ** NEW DANCE SCHOOL: A new dance school has opened up in Halifax....Diaga Irish Dance: a school of traditional Irish dancing. Their vision is to build a grass-roots community of dancers and their families who are interested in connecting with the rich Celtic heritage of the Maritime provinces. Classes take place at the historic St. George's Anglican Round Church hall. The entrance for the St George's Anglican Church hall is located on Maitland Street just off Brunswick Street. ** NEW CD -"DECADE" ...... Wizard of string-things, Darren McMullen has released a wonderful debut solo CD called, "DECADE". Darren plays guitar, banjo, mandolin, octave mandolin, bouzouki, basses & whistles. Check it out at: www.darrenmcmullen.com. ** THE NEW TUNE SOCIETY ...... The band, "THE NEW TUNE SOCIETY" (formerly know as "TUIG") has recorded 6 tracks for their debut CD at The Sonic Temple in Halifax, and Studio C in Dartmouth. Their debut CD, will be released in 2011. 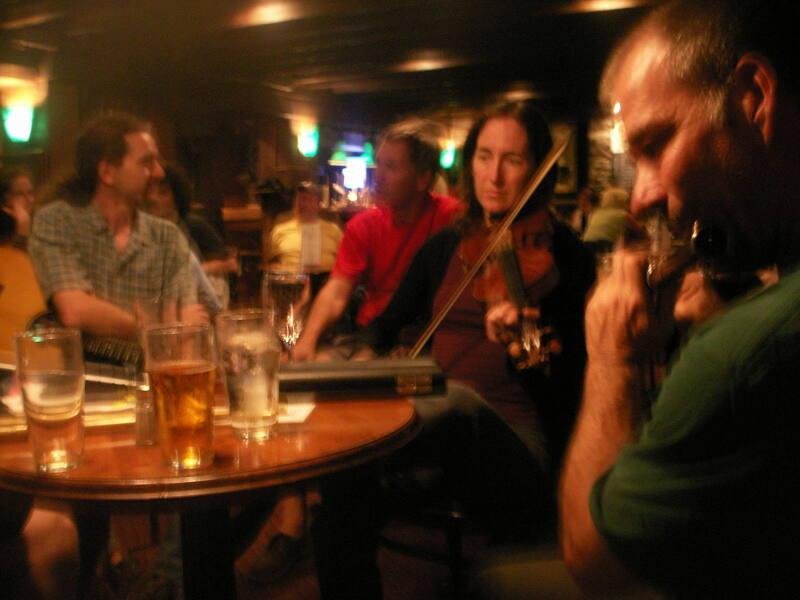 The New Tune Society is: Patricia Murray, Glenn Coolen, Seph Peters, & Colin Carrigan. ** CELTIC MUSIC WORKSHOPS, HALIFAX ...... Due to the success of the first 8 Workshops, New Tune Productions & KORVUS Sound Explorations Inc. will be hosting "THE 9th HALIFAX CELTIC MUSIC WORKSHOP" in conjunction with the "RE-JIGGED" Festival, October 21 & 22nd, 2011. Please click on the WORKSHOP link (to the left.). ** THE METRO PIPER'S CLUB, DARTMOUTH; The "Pipers Club" 2011 winter season has begun. The intent of this series is to have a featured performer each night, possibly other presentations, and then leave the floor open for some 'ceilidh' playing....any instrument welcome. There is a bar as well. >> Location: The Christ Church Hall, 61 Dundas Street -off Ochterloney St., in downtown Dartmouth. >> Admission: $5.00 for adults/ $3.00 for students (free admission if you bring an instrument to play for the ceilidh portion of evening.) Children under 10 free. >> Time: Doors open at 7:00 p.m., for meet and greet. >> Phone: 452-7473 (PIPE) for further information. ** MacCrimmon's Revenge's newly-released CD "ECSTASY" was nominated for an East Coast Music Award; in the category of "Best Instrumental Recording". ECSTASY is available by visiting itunes or www.cdbaby.com online. The band has begun recording its 3rd CD. ** SCAIP NA CLEITI ...... "Scaip na Cleiti" -the Irish Set Dancing group in Nova Scotia has a webite which is a great resource for finding out what's going on in the local set dance community!!! : www.setdancingns.com. They have two weekly activities: a Sunday afternoon dance & music session at the Old Triangle & a Monday evening class. ** THURSDAY NIGHTS!! 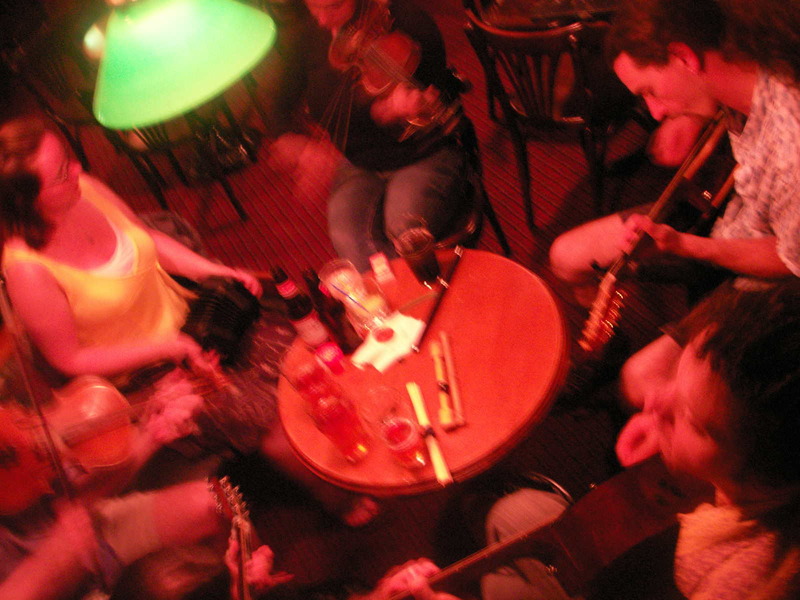 "Irish Eddie & The Highland GAC": is now a PODCAST via CKDUs website & www.celticmusicclips.com. Halifax's only Celtic/ World music radio show/internet broadcast can currently be heard Thursday Evenings from 6 to 7pm AST, on CKDU Radio @ 88.1 FM. Now 22 years in the running! CKDU has just increased its broadcasting power & can now be heard over a much greater area!! !